Strobist lighting kits are the modern day version of the basic speedlight-based setup I carried on my daily newspaper assigments for the better part of 20 years. Over the past ten years, the recommended kit has gone through several evolutions. But recently there have been significant updates to several of the components (and a cool addition) making the kit better now than at any other time. I thought the updates merited a shoutout. The kits are built around the idea of strong value with thoughtfully chosen components, many with unique features. All components carry best-in-class warranties, and can be expected to give you good service for years. If I was talking to myself as a 20-year-old, I'd advise me to get this before even buying a second lens. 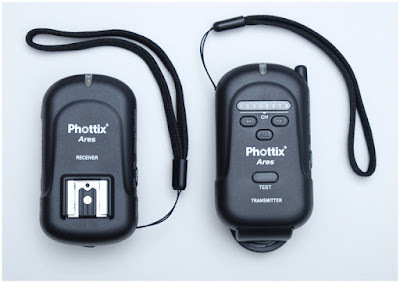 The lighting kits come in several variations: Single with flash, single without flash, two-light version (two of everthing; but one remote) and add-a flash (one of everything, no remote). 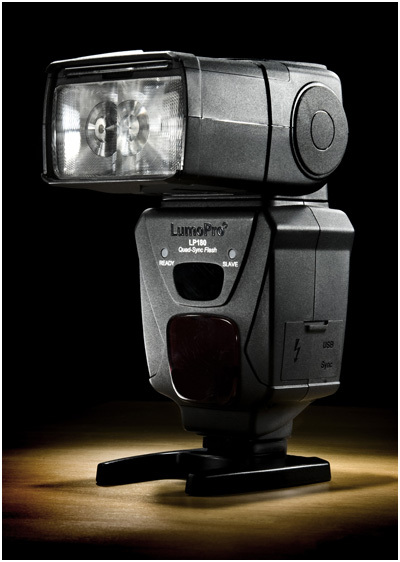 The LumoPro LP180 is basically a bullet-proof (not literally, but relatively) manual flash that comes with the stuff you need, without the bells and whistles that you don't. Warranty: twice as long as OEM flagships. Price: one-third of OEM flagships. A legit remote trigger for not much more than the cost of a sync cord. 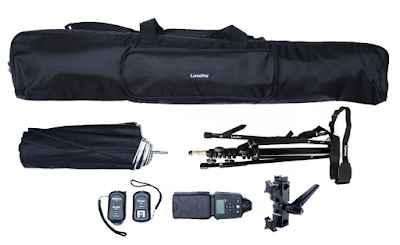 Features include: AA-powered (no weird batteries to find) 8 channels, hot-shoe based mount and excellent reliability. Backed by a two-year warranty. I have been teaching with (and using) these remotes for several years now. They are solid. Recently updated; best in class. The LP605S is the classic, 5-section compact stand — except beefier build, and with a couple of unique added features. One, it comes with folding ground spikes that will add to stability when used outside. Un-sandbagged umbrellas are always a risk in wind. 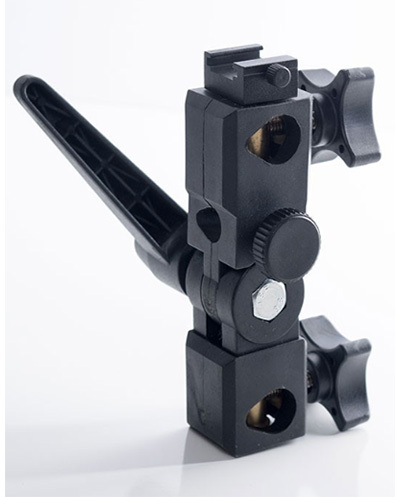 But you can at least spike this stand and use bare flashes outdoors in a stiff breeze. Two, the LP605S come predrilled for a strap, and includes the strap. This is somethng I DIY'd for many years, and the idea has now found its way to what was already the best compact stand on the market. Recently swapped; best in class. Functionally similar to my older Westcotts, but with better build quality, more durability and added features. The LP version gives you the choice of the best umbrella surface for any given job. It converts from white shoot-thru, to white reflective (black-backed) and silver reflective. 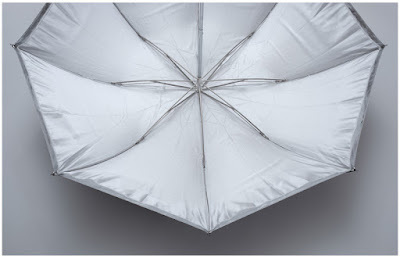 Unlike most double-folds, LP 3-in-1 umbrellas do not feel like fragile little flowers right out of the box. They are more substantial, and have lasted far longer than other models in daily use. They also come with a slip case the does not make it feel like your umbrella is trying to squeeze into skinny jeans every time you try to case it. Recently updated; best in class. Finally, someone has nailed the swivel. The 679-v2 has all of the things common sense dictates in a swivel: removable cold shoe, big arm/smooth hinge, and a cold shoe post lockdown that does not bump up against your flash. The recent improvement that sets it apart is in the umbrella lockdown screw. It is big and knurled. God only knows why, but most every other swivel I have seen puts a tiny thumb-mangler lockdown nub there. Why? 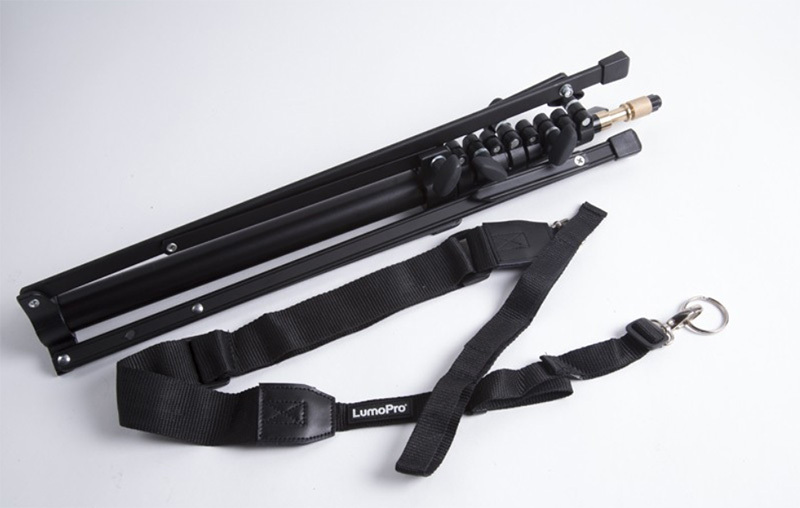 The LP679-v2 is LumoPro listening to photographers' upstream suggestions. As a result it is much better in practical use, comparatively speaking, than other swivels. Lighting in Layers was a 6-DVD, 8-hour video tutorial series that sold for $159.99 from 2011 to 2016. (Full info here.) After six printings, the idea of physical DVDs had run its course. And since those DVDs had been very good to our family, I wanted to pay it forward to the next generation of lighting photographers. 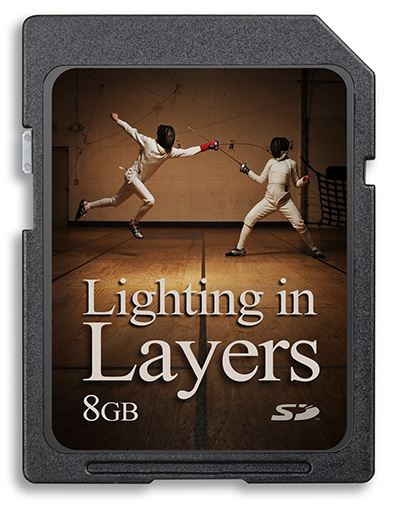 So, all versions of the Jumpstarter kits purchased directly from Midwest Photo now include SD or thumbdrive versions of the Lighting in Layers video series. This is especially cool because one of the Jumpstarter kit versions (single/no flash) actually sells for less than the original cost of the DVDs. Jumpstarter kits are available both on Amazon (finally!) and directly from Midwest Photo. Only the kits purchased directly from Midwest Photo include the video series. So if the video is important to you, choose Midwest. If not, you can go the easy two-click route through Amazon. All Jumpstarter kits (except Add a Light kit, which presumes you already have a case) include a padded shoulder case that big enough to hold a two-light kit and various odds and ends. If you are a Sony user, your camera may have a non-standard hot shoe. Sigh. Thanks Sony. Which means that this flash and remote (and, sadly, many other lighting components) may not fit your camera. Fortunately, there are workarounds. Sony shooters are advised to email Midwest Photo and they will step you through any adapters you may need. The Jumpstarter kits are now also available via Amazon, which makes for a super-easy (two clicks) way to order. If you go that route, understand that the Amazon versions do not come with the lighting videos. That is a Midwest Photo in-store exclusive. Other that that, they are identical to the Midwest versions.